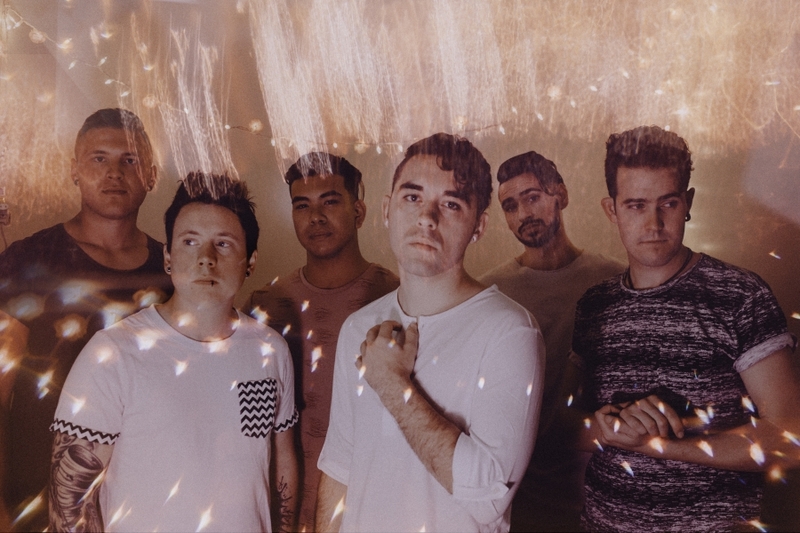 Marina City have been dubbed by multi-platinum record producer John Feldmann* as a mix "between Fall Out Boy and Avenged Sevenfold" Marina City has introduced their rapidly growing audience to a genre they didn't even know they craved: Aggressive Pop Rock. Fusing heavy instrumentals with keys and catchy three-part harmonies, the band knows how to stand out above the rest. They have been named one of the "Top 10 Independent Bands You Need to Know" by MTV & Altmusic, the "Band You Need to See" by Alternative Press for both Warped Tour and Riot Fest 2016, and were declared The 2016 Band Of The Year by Chicago Nightlife Awards. On The Request Magazine writes: "(Marina City) have brought a very real, intense rock flavor to vocals that could easily appear in today's top 40... they are showing the world what real music in popular culture could and should sound like." "The completely independent band that people cannot believe isn't big yet**"
Debuted at a sold-out House of Blues show, the sextet since gained an intensely dedicated fan base they call The Lost Boys. This fanbase has opened the door for Marina City to tour over a dozen times across the country, playing Warped Tour, Riot Fest, CMJ Music Marathon, SXSW, and share the stage with national/ international touring acts such as: Go Radio, Senses Fail, Amanda Palmer, Drake Bell, State Champs, Real Friends, and more. The band has gained airplay on many local radio stations including 101WKQX and Fearless Radio and has been featured in MTV News, AltPress, Rocksound Magazine, Absolutepunk.net, PropertyOfZack, Pupfresh, and Red Eye Chicago. At the end of 2015 Marina City was also named the Ernie Ball Battle Of The Band's Grand Prize Winner. "Their ability to stand out and their amazing work ethic is undoubtedly why they've reigned victorious above thousands of hopeful locals." Competing against nearly 10,000 bands across the nation Marina City was the band chosen to work with John Feldmann on their new Ep, play two weeks of Warped Tour, and be endorsed artists of Ernie Ball Music Man. Alternative Press Magazine called Marina City the #2 band to watch at Warped Tour 2016 saying, "This theatrical six-piece has the artistry and determination to give Brendon Urie (Panic! At The Disco) a run for his money". The band features lead vocalist Ryan Argast, guitarist and vocalist Brian Johnson, keyboardist and vocalist Matt Gaudiano, drummer Eric Somers-Urrea, bassist Aaron Heiy, and lead guitarist Todor Birindjiev. With a degree in music performance, drummer Eric Somers-Urrea creates a strong rhythmic backbone for bassist Aaron Heiy's deep pocket to groove within. Todor Birindjiev, takes each song to new heights with his infectious guitar solos and ripping lead lines. And Hammond artist Matthew Gaudiano on keys teams up with guitarist Brian Johnson to create the hard-hitting and aggressive center of the band. However, the biggest standout factor for Marina City is that it features 3 lead vocalists. Gaudiano's smooth R&B style and Johnson's raw punk sound compliment the power and emotion of frontman/ lead vocalist Ryan Argast. ‘Terminal’ is the fourth EP from the Chicago outfit, Marina City. The five-track EP is credited to be their most experimental record yet. After spending almost two years writing 60 songs for this EP, working with Craig Owens, John Feldmann, and Jordan DiSorbo of Before Their Eyes, playing Warped Tour, Riot Fest, So What!? and nearly 200 shows, Marina City is ready to put the past behind them and show the world the new era. "Terminal has a sort of duality to it. You could use the word to describe a deathly illness or you could use it in the meaning of 'ending one thing and beginning another'. We aren't sure what will happen after this record but we can definitely say, good or bad, this record will change our lives." says Ryan Argast, Lead Vocalist. Marina City continue to bring something new with every release and ‘Terminal’ is no exception as they fuse elements of alternative rock, pop rock, punk, R&B and pop to create a sound that this band can call very much their own! With the band's ability to write infectious melodies and harmonies to die for it would be impossible not to find yourself hitting the replay bottom, especially with their lyrics that are worthy of a sing-along. This aggressive pop rock album is ready to be played loudly as you sing at the top of your lungs. With this EP’s dynamic and impassioned sound makes for a record that you will, most definitely fall in love with. Marina City are one of the most exciting bands on the scene right now, as they continue to bring something new to the table! This is a record not to miss out on!